Here in Alberta we are landlocked and do not have easy access to fresh lump crab. None the less I sure do enjoy the taste of sea food. One of my favourite things to make are crab cakes. 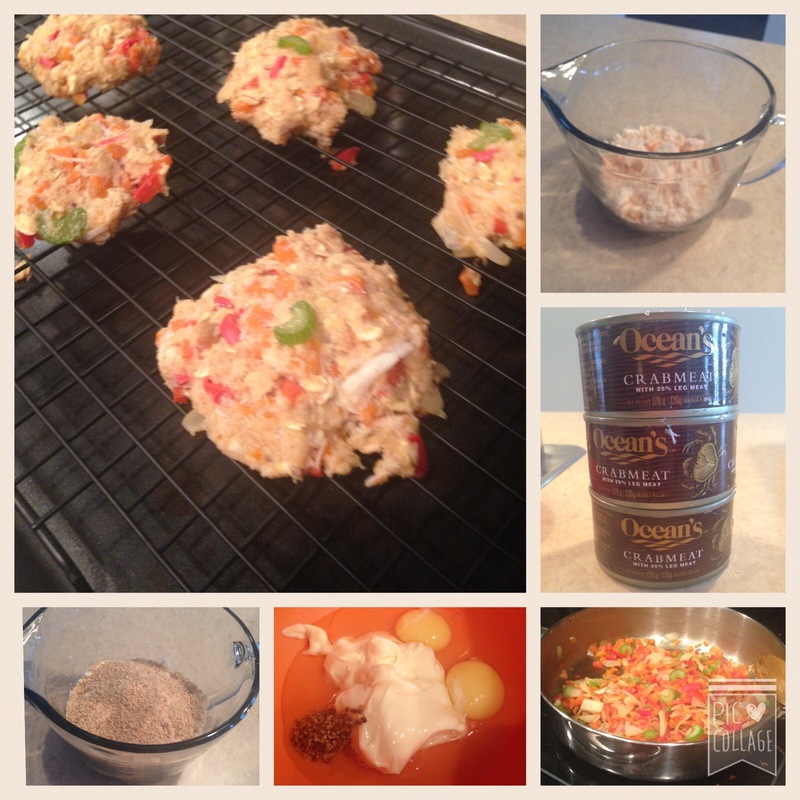 I must admit, I do not follow a typical crab cake recipe, so here is what I call my Alberta Crab Cakes. In a frying pan greased with vegetable or olive oil, saute the onions & garlic. Once fragrant, add the chopped carrots. After two minutes, add the bell pepper & celery. Continue to saute for three minutes. As the vegetables cool, put the crab meat, panko and flakes in a medium to large mixing bowl. Add the vegetables to the dry ingredients. Fold in the Miracle Whip, eggs & Dijon mustard into the dry ingredients. If the mixture is not sticking together, add an additional tbsp of Miracle Whip. Add preferred amount of Parsley to the mixture. I recommend 2 tsp. Create patties with your hands to your desirable size; no larger than the palm of your hand, no thicker than your index finger. OPTIONAL: Fry the patties on high eat to create a crust on the exterior. Put the patties on a lined backing sheet w/ a cooling rack placed on it. This will help the bottom from becoming soggy. These are great to eat warm or cold. I like to put mine next to a salad or even chow down for a snack. Some people enjoy some cocktail or tartar sauce with them, personally I enjoy a touch of hot sauce.